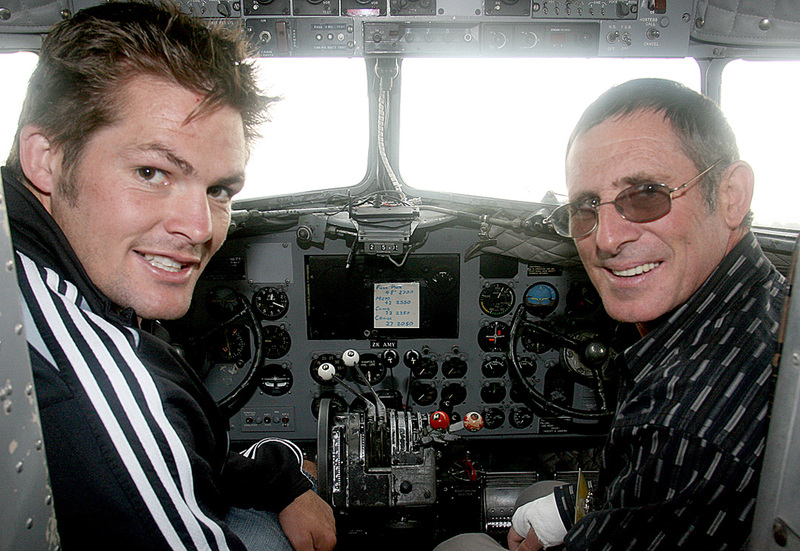 Trust patron and keen aviator Richie McCaw smiling in the pilot’s seat of the Southern DC3. Image credit: Ashburton Guardian. Southern DC3 Trust archive.